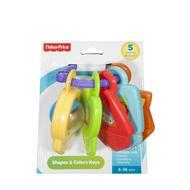 Little ones key in on shapes, colors & numbers with these 5 chunky, easy-grasp keys! Okay, these toy keys won’t open any doors. But they will unlock lots of fun learning with different shapes, colors, numbers and animal friends for baby to discover on every key! There’s even a surprise activity on the first key: a spinning roller ball for baby to bat at! 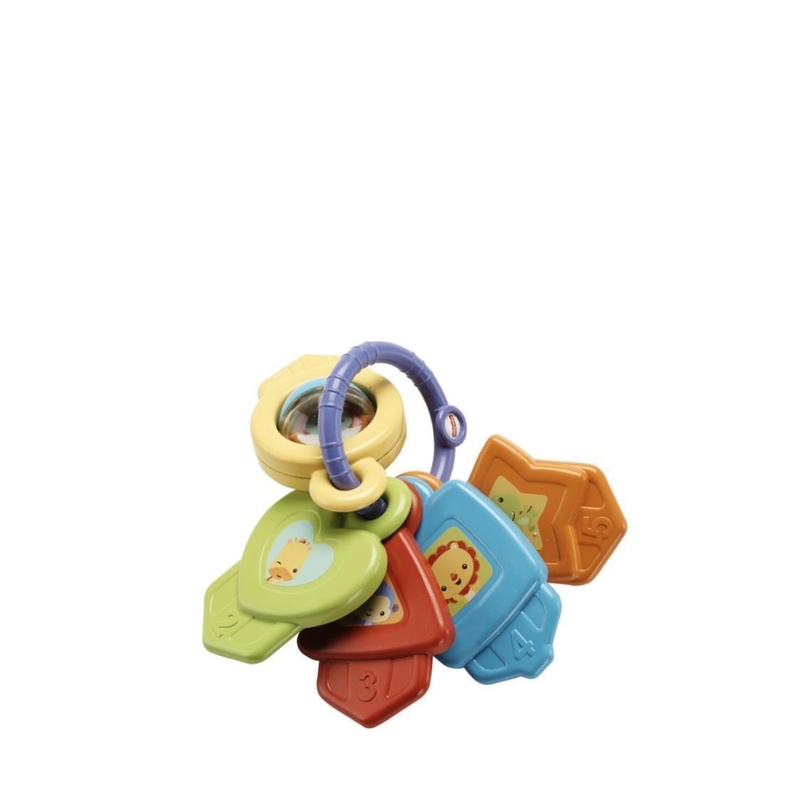 We’ve made these activity keys nice and chunky for little hands to grasp & hold – and easy for mom to find when little ones get the dropsies!